Vinayaka Mission's Kirupananda Variyar Medical College, Salem was started in 1995, affiliated to The Tamil Nadu Dr. MGR Medical University, Tamil Nadu. It became a constituent college of VMRF-DU in 2004. The institution is located in the rural area of Salem, South India in a vast area of 66.36 acres. 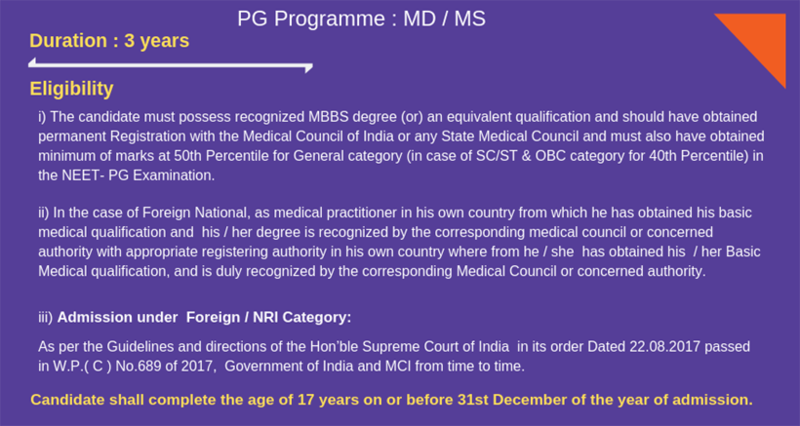 The institution is running UG and PG programmes with 23 well established departments recognized by the Medical Council of India / Government of India. The institution has limpid vision of providing service to the humanity at large by making available the best form of health care to the local community. It provides able governance and leadership to translate this vision into action through its high quality medical education and advancement of medical programme to achieve national and international health goals. The hospital has 560 beds with best of world class facilities made available at an affordable cost to the community with all innovative and sophisticated state-of-the-art equipment and teaching facilities. The hospital has consultancy services and tie-ups with the Govt. of Tamil Nadu. Vinayaka Mission’s Medical College & Hospital, Karaikal was established in the year 1996. Approved by the Government of Puducherry, Recognized by the Medical Council of India / Government of India, New Delhi. 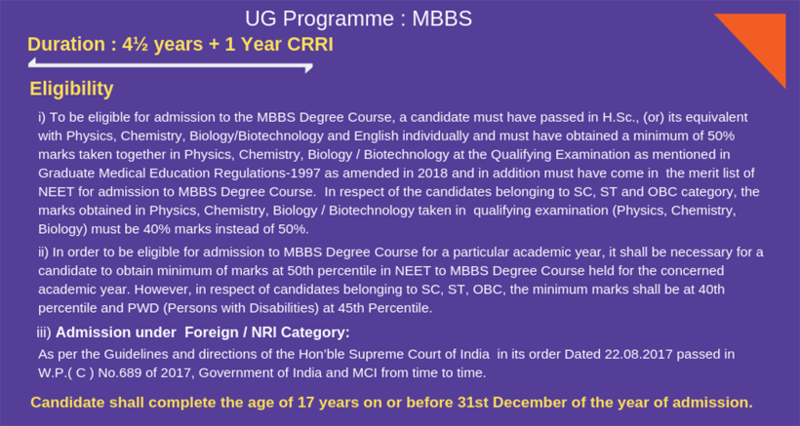 Listed in WHO Directory of World Medical Schools. It offers Postgraduate Programmes since 2006 - 2007. The Aarupadai Veedu Medical College & Hospital was established in the year 2000. Approved by the Government of Puducherry, Recognized by the Medical Council of India / Government of India, New Delhi. Listed in WHO Directory of World Medical Schools. It offers Postgraduate Programmes since 2007 - 2008. College has multidisciplinary Research Labs, Laboratories, Library and Well Equipped Students amenities including Wi- and International Hostels.